We have more than 10000 premade, 100% tested rf / microwave cables we can ship today. 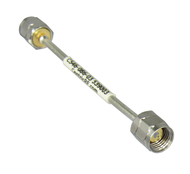 These RF and Microwave cable assemblies are tested for vswr. Connectors used are built to the appropriate Mil-Spec, IEEE, or IEC standards as called out on the datasheets; Mil-STD-883, Mil-G-45204, etc. We currenly offer sma cables, type n cables, 2.92mm cables, 4.1/9.5 cables, smp cables, mini-smp cables, bnc cable assemblies, low PIM cables, and more. We have both flexible rf cables and semirigid formable cabels. 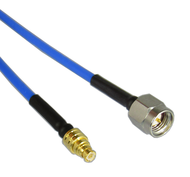 These RF / Microwave coax cable assemblies can also be supplied in custom versions in 2-3 weeks. Our custom cable assembly operation is adding choices weekly. Please click on a subcategory from our drop down menu above to see our exact offerings of rf & microwave cables.